Viva Puerto #11 | Life is a “Beach”, or is it? Life is a “Beach”, or is it? << PREVIOUS: Shall We Dance? 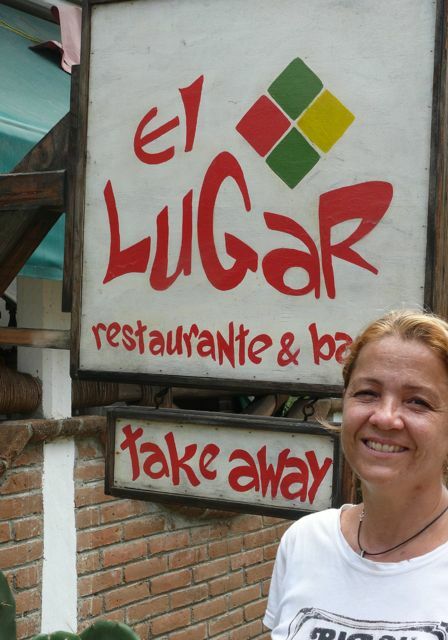 Sue Repanellis is the owner of El Lugar, the Australian restaurant in the Punta. 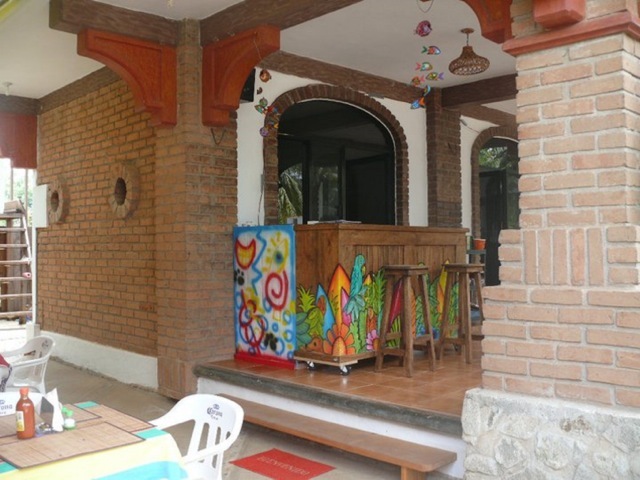 Arriving in Puerto Escondido, we smile at the thought that we have found Paradise. We holiday here for a few weeks or months, maybe come back a few years in a row and eventually think, “I could live here forever but I really need to do something to keep myself financially happy. So why not start up a business here in Puerto and live the easy life?” That was my plan. 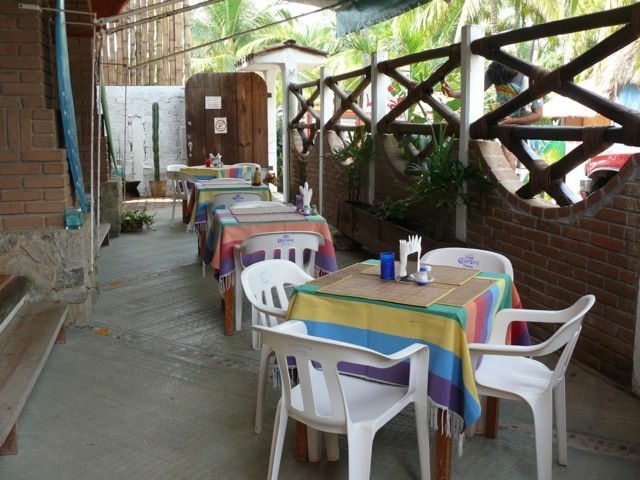 I am Australian, and, since La Punta is a popular destination for Australian surfers and backpackers (see ¡Viva Puerto! 10), an Australian restaurant next to the beach seemed like a niche just waiting to be filled. The result was El Lugar, now in its third year of serving meat pies and other southern hemisphere delicacies to visitors and residents alike. Not to say that opening and running a business in Puerto is easy. It’s 12-hour workdays six days a week, and keeping a smile on your face, no matter how tired you feel. It helps that my last job had been in public relations. Compared to facing the media every day, talking to customers is a piece of cake. Not that I’m complaining; I’m still living out my dream of having a business in paradise. I have seen many small businesses come and go in my three years here. Some people discover they really aren’t cut out to deal with the public or to manage all the responsibilities of a business. Often it’s just a question of being undercapitalized. It generally takes two to three years for a small business, anywhere, to show a profit. It takes time to establish a reliable customer base and to learn the needs of the market. It takes money to get started, and money to keep open when income is low. Even when business is good and profits steady, it can take years to recoup your initial investment. Experience is everything when starting a business. I had previously worked as a cook, barista, waitress and bartender, as well as having managed a small restaurant in Sydney - so I knew what I was getting into. That’s not to say that I knew it all. There were still plenty of surprises; to this day I am still learning about running a business! One thing I have learned: if you offer exceptional service for a reasonable price, your persistence will eventually ensure your success. Besides having adequate funds (buying refrigerators, freezers, stoves, furniture and pots and pans, not to mention painting and plants and getting menus printed, does not come cheap) and good people skills, the new business owner has to factor in the time it takes to put together a good staff. The fact that there are always help wanted signs in front of restaurants and hotels tells you how hard it is to find and keep good people to work for you. Before coming to Puerto, I worked long and hard in Sydney as a senior manager in the corporate world. The pay was good, but I felt that I was feeding the corporate beast and not my soul. I used to look out of my office window and think there has to more to life than this. As I sit here in my restaurant, working hard, achieving personal success, gaining a good reputation while at the same time rewarding my spirit, I know I have made the right decision. Having a lawyer made my life substantially easier. Speak to other small business owners, realtors, and local people. I also did a lot of research on the internet. You will probably have to change your immigration status. Even if you have permanent residency, you need to have permission to work or conduct a business. This may involve getting notarized certificates from your home country showing that you are qualified to operate a particular kind of establishment. This can take time. You will also have to show immigration that you have a peso-denominated lease or a fideicomiso (if you own the property), a business licence from the municipio, and your SAT tax registration. Most small businesses qualify as “pequeños contribuyentes” which means you just pay a flat tax. But small rate-payers cannot issue “facturas” which some of your potential clients may require. So you may need to work with a certified accountant. The process may seem daunting, but it is doable. Once you have completed the groundwork and get past all the red tape and legalities you can sit back and enjoy this new “by the beach” lifestyle you have chosen.